Via StarWars.com, Lucasfilm Ltd. And Twentieth Century Fox have issued an official theatrical release date for the first installment of the 3D Star Wars saga: February 10, 2012. 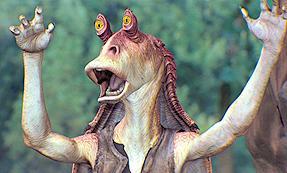 Unfortunately, the first Star Wars film to make the jump to the third dimension is The Phantom Menace. So, in this case, the extra “D” also stands for disappointment.